The Diversity and Inclusion Working Group (DIWG), chaired by Chief Diversity Officer Mark Brimhall-Vargas, has been working this semester toward greater faculty and staff diversity, more public data related to diversity and new affinity groups for minority and women students, faculty and staff. According to Brimhall-Vargas, the working group contains leaders and representatives from all of Tufts’ schools and campuses and is overseen by the Diversity and Inclusion Leadership Council (DILC), chaired by University President Anthony Monaco. Brimhall-Vargas said that he has been working to help Tufts meet the diversity goals outlined in its T10 Strategic Plan since his April 6 arrival at Tufts. The plan, released in November 2013, outlined a 10-year undertaking for the university, which included acting on the recommendations that were to be made by the President’s Council on Diversity. Brimhall-Vargas said he serves as a resource for members of the Tufts community dealing with issues related to diversity and inclusion. 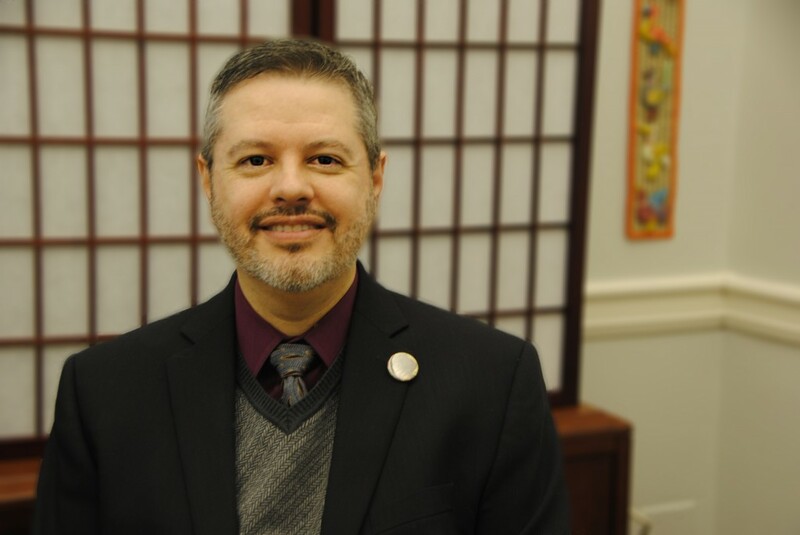 Brimhall-Vargas said he has been engaging with staff and faculty of color to help them start affinity groups on campus, including working to start groups with several African-American women on staff and graduate student women of color. One major effort undertaken by Brimhall-Vargas and the DIWG this semester is the diversification of Tufts’ faculty and staff. According to the 2013 report by the Council on Diversity, in 2012, less than 20 percent of all full-time faculty members identified as faculty of color, and approximately 38 percent of full-time faculty members were female. Brimhall-Vargas said he hopes to educate members of the community about how to recruit and land female candidates and candidates of color for open staff and faculty positions. “There are new regulations that ask us to be thoughtful around a person with disabilities and veterans,” he said. In addition, Brimhall-Vargas is hoping to build a website dedicated to diversity efforts so that the DIWG can publish data about its progress. Increasing the diversity of Tufts faculty — specifically by increasing the number of Black-identifying part-time and full-time faculty to 13 percent — and making diversity data and demographics more transparent were among demands made of the administration by Tufts students organized under the name #TheThreePercent. Members of #TheThreePercent, led by Black students, announced these demands on Nov. 18, the same day they led approximately 200 students in a march to Porter Square to stand in solidarity with student protesters nationwide, calling for an end to discrimination and racism on college campuses. Brimhall-Vargas and Monaco met with students at the Africana Center the day before the protests to discuss student concerns about campus conditions for Black students. Following the protests, on Nov. 19, the two administrators released a statement acknowledging the work to be done by Tufts. University Chaplain Reverend Gregory McGonigle, who is also a member of the DIWG and works with Brimhall-Vargas, said that in light of #TheThreePercent demonstration, colleges and universities nationwide must examine issues related to race on their campuses and strive for positive social change. “I thought President Monaco and Brimhall-Vargas’ statement as quoted in last week’s Daily summed it up very well, that despite past positive steps, we know that Tufts still has much work to do and that collaboration among students, faculty and staff can help to make that happen,” he said. He added that the hiring of Brimhall-Vargas has served as an important addition to the Tufts community. According to DILC member and Senior Associate Director of the Office of Institutional Research & Evaluation Jessica Sharkness, the main roadblock Tufts faces in terms of diversity and inclusion is its financial resources. Sharkness also co-chairs the Assessment, Reporting & Dashboard working group, which reviews data that pertains to diversity issues. Sharkness added that while she believes Tufts is already a “fairly progressive, welcoming place for all students,” she believes the university will make further strides soon in terms of having data on diversity, inclusion, engagement and achievement. Brimhall-Vargas said that change of that sort on campus does not always come quickly. Brimhall-Vargas added that he hopes to start holding regular office hours for students who want to address any concerns, or who simply want to meet him. “It would be great if more students got to know me and I got to know them as well,” he said. Brimhall-Vargas acknowledged that Tufts is sometimes restricted by a lack of resources and structure surrounding some issues, but he feels the university is making diversity and inclusion a priority and strives to respond to all the concerns he receives.